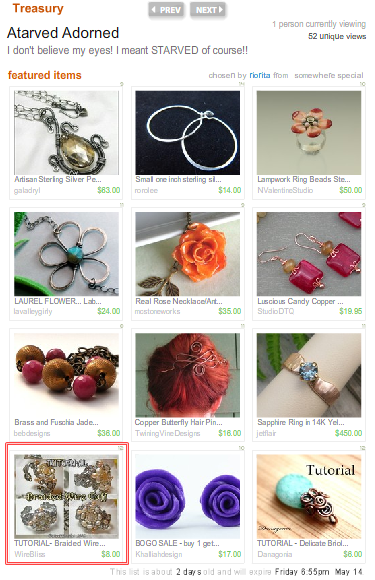 ......one of my creations is featured in Etsy Treasury created by Riorita. Thank you Riorita for the feature. Congratulations Mei...it is fun to be chosen to be in a treasury!!! Your cuff is gorgeous...I would love to be able to make something like that but I honestly don't think I have the patience for it! I also don't think I'm precise/neat enough! Was fun and happy to be found and happy that you love to see my work. Maybe one day you will try it out and got hooked...like me..